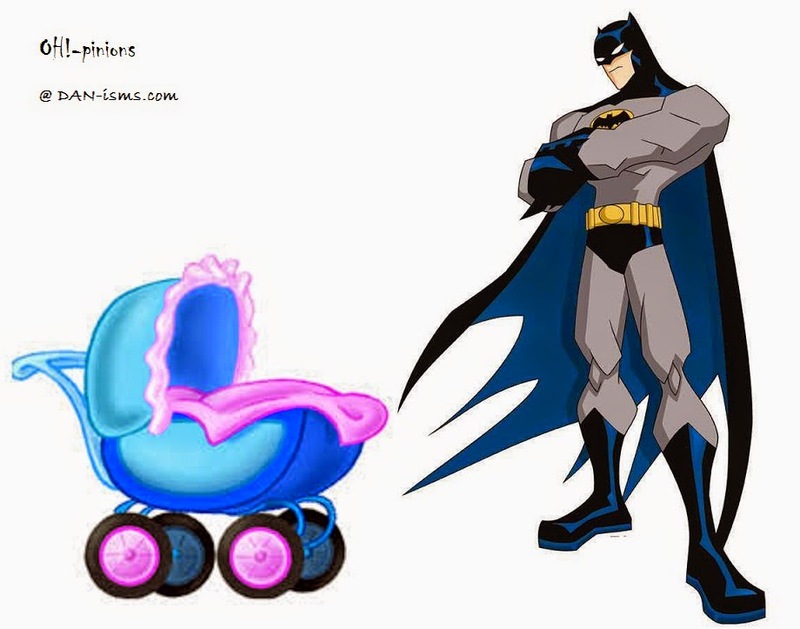 NSFW News: I'm a child-rearing BATMAN! This is my partner’s firstborn but every time she thinks she’s about to lose her mind, any time she starts to feel overwhelmed by hormones, new parental insecurity or sleep deprivation, all she has to do is wordlessly look at me with those big beautiful eyes to receive a, “don’t worry sweetie, I got this… Do you need a cuddle too?” Because by choosing a man who already had a child, my partner acquired a parenting veteran. I’ve seen all the horrors, I’ve done all the trips to the emergency ward, and I’ve already dealt with all the normal complications of child rearing. Complications during birth? No problem Doc, want me to pull out the kid while you work on mum? Sleepless nights? I went twelve months with one-hour sleep and feeding cycles. Fountains of vomit? My firstborn performed the puke scene from The Exorcist directly into my open, unsuspecting mouth… while I was hung-over. Explosive poops that refuse to unstick from anything they touch… LOL! At two years of age the only way I could get my firstborn to let me change him was to gaffa tape his nappy shut. Alternatively, instead of crying or asking for help when he pooed, he constantly undid pooey nappies and then wiped them on every flat surface including walls, beds, sheets, change tables, toys, carpets and the entirety of his body, before covering said poop with all of the wet wipes and baby powder in the house. You know things are bad when you are seriously considering a can of gasoline and a match as a room's cleaning solution. My son sleeps, he coos, he sleeps. As long as you meet his very simple needs, keep him clean, fed and loved—he is constantly content. Just like me.